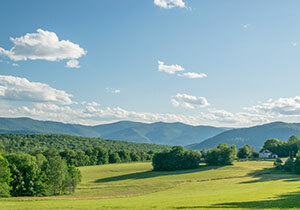 Southern Vermont Towns - Area Info | Josiah Allen Real Estate Southern Vermont's Leading Independent Brokerage. Since 1962. Southern Vermont is the one place in Vermont where you can experience all of Vermont. 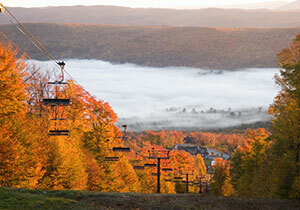 No matter what the season, Southern Vermont has everything you want in the Green Mountain State. Endlessly beautiful views, historic villages, breathtaking mountains, sophisticated culture, relaxing rivers and lakes, and the activities that Vermont is known for. Just 3 to 4 hours from major metropolitan areas of the Northeast, Southern Vermont is the closest destination in Vermont for practically everyone! If you are not familiar with our corner of Vermont, here are the towns we serve and a little about each of them. If you would like to learn even more about Manchester, Dorset, Stratton and the surrounding communities of the Northshire and our Mountain towns, feel free to contact us. To learn more about living in Southern Vermont, select from this list of our most popular towns and learn about the community, surrounding areas, as well as search available homes for sale or rent. Often cited as the prettiest town in all of Vermont, Dorset is a highly desirable locale adjacent to the amenities of Manchester while possessing the historic and natural landscapes that Vermont is renowned for. Visitors flock to the town’s marble quarries, historic inns and restaurants, general stores, it’s nationally recognized theater and Emerald Lake. Residents love the recreational opportunities, high-quality schools, breath-taking views and it's rural, yet sophisticated lifestyle. Manchester is a four-season resort destination and the focal point of life in Southwestern Vermont. 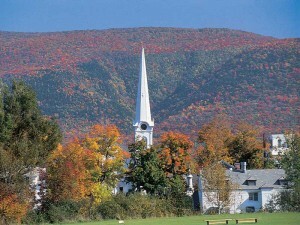 The town boasts an abundance of recreational opportunities, a world-class and refreshingly unique shopping experience, a sophisticated cultural scene, great restaurants and resort hotels, and some of the best schools in all of Vermont. Most of all, residents and visitors love this town for its availability of conveniences while being in one of the most picturesque towns in all of Vermont. The towns of Stratton, Winhall, Londonderry and Jamaica Vermont all lie within minutes of the world-famous Stratton Mountain Resort. The Stratton area boasts three active outdoor seasons, plenty of dining and shopping and countless cultural activities to experience. Area schools are excellent, and with the towns nestled in the beautiful and peaceful Green Mountains, residents and visitors alike experience a lifestyle that is fun, relaxing and healthy. Just south of Manchester lay the towns of Arlington, Sandgate and Sunderland. All three are known for their picturesque and peaceful landscapes, close and caring communities, and desirable schools. 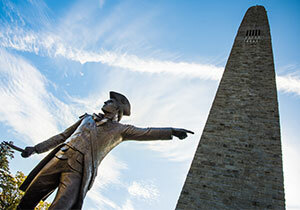 Arlington has a beautiful and charming town center that serves as the hub for amenities in this area. The Battenkill is a world-class recreational river that meanders through all three towns. Residents love it here, seemingly away from the bustle, but close enough for convenience. The beautiful, sophisticated and charming mountain towns of Weston, Landgrove and Peru are communities with lots of historical references, an abundance of recreation, and a variety of dining and lodging options. Weston serves as the cultural hub and is home to the Weston Playhouse – a world-renowned summer theater. 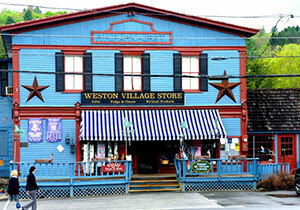 Nostalgic shopping is the highlight at the original Vermont Country Store, while Peru’s Bromley Mountain is a recreational magnet in winter and summer. Country roads run north of Manchester through the Mettowee Valley and Taconic Mountains to connect the genuinely charming towns of Rupert, Pawlet and Middletown Springs. The area is one of the most alluring places in all of Vermont – with rolling farms and residential retreats that have breathtaking views and peaceful surroundings. Residents enjoy quaint country stores, firehouse suppers, and outdoor recreation at Merck Forest, Haystack Mountain and on the Mettowee River. If you want peaceful roads and fabulous views, with centralized access to the major recreational and commercial hubs of Southern Vermont, travel north out of Dorset to find Mt Tabor, Danby, Tinmouth and Wallingford. Situated in and between the majestic Taconic and beautiful Green Mountain National Forest, these mountain and notch towns feature historic marble quarries, quality schools, access to world-class outdoor recreation and a nostalgic, rural lifestyle. Toward the southwestern edge of Vermont lays the history-rich towns of Bennington and Shaftsbury Vermont. The area is as steeped in revolutionary history as it is in a natural landscape and mountain views. Historic Bennington is the business, restaurant and cultural hub of Southwestern Vermont while neighboring Shaftsbury is a residential community with a thriving agricultural past that is reflected in its working farms. Both towns have great schools and lots of outdoor activity. Nestled along the gateway into the Green Mountains lay the towns of Chester, Grafton, Andover and Windham Vermont. These towns have a mountain charm that you will find nowhere else. 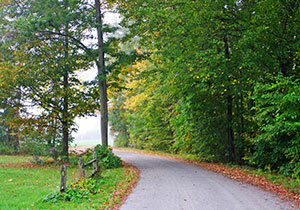 The area has a plethora of historical, recreational, farming and natural landscapes to enjoy. 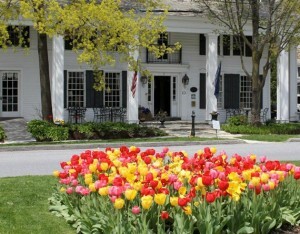 Chester serves as the hub, with historic and charming inns, restaurants and stores. Many of Grafton’s inns have been restored by the Windham Foundation, making it a unique and wonderful Vermont destination. Okemo Mountain Resort towers above the town of Ludlow, while Mt Holly and Shrewsbury are communities that lay just north and west along Route 103. All three towns have easy access to a ski area with the largest vertical drop in Southern Vermont, and all the summertime activities that the mountain and surrounding towns provide. Characterized by good schools, active communities, and a fun and thriving downtown scene, Okemo is a wonderful place to consider. Killington, Mendon and Chittenden are three of Killington’s best addresses. 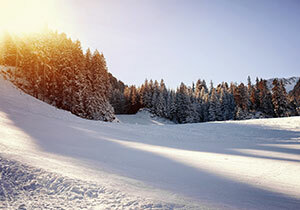 Home to two major ski resorts, Killington and Pico are considered the best ski areas in all of Vermont. Green Mountain National Golf Course is often cited as the top public golf course in the state. Killington offers slope-side and adjacent homes to buy or rent, while Mendon and Chittenden get you away from the hustle and bustle while close enough to make it a short ride to the mountain. 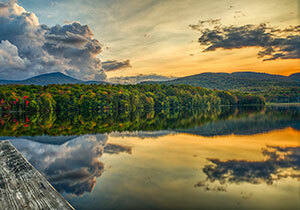 Two of the most picturesque recreational lakes in all of Vermont are in the Lakes Region of Southern Vermont. The towns of Wells, Castleton and Poultney give residents and visitors easy access to both lakes and its supporting amenities, restaurants and inns. Quiet in winter and fun in the summer, this area also is home to Castleton University and the commercial downtown of Poultney. Nearby is also the larger commercial hub of Rutland for all shopping needs.